Secluded Wild boar Wilderness!!! That's a pretty good description for what we have. Variable terrain, steep hill tops and ridges, slopes, winding stream with quiet pools through valleys and noisy rapids, dark mature forests, cedar bushes, pine meadows and lots of natural wildlife trails through all parts of the grounds. The grounds are full of wildlife. Beaver, ducks, blue heron and fish such as trout and bass claim the waters. 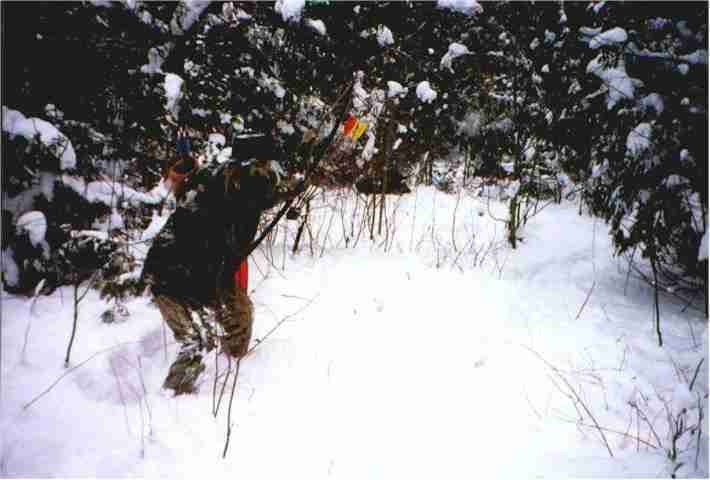 Grouse, partridges, raccoons and porcupines live in the trees. Deer, pheasants, rabbits and groundhogs frequent the ground. All while hawks chase crows in the skies. 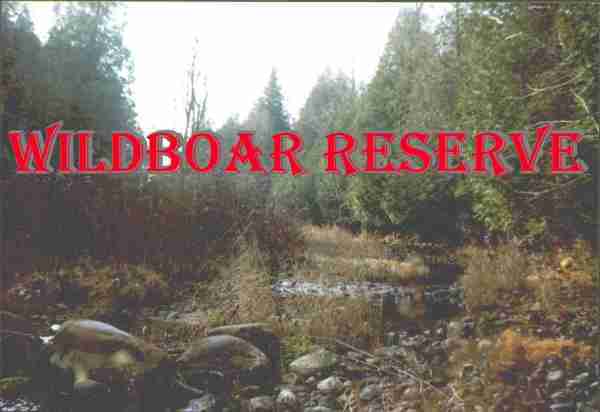 Once you enter through the gates into wild boar wilderness you can explore continually changing landscape and tree cover on your hunt. Dense cedar bush gives in to dark old maple forest on the other side of the stream. After you cross the stream for the second time you are in the shade again surrounded by big cedar trees. You go up hill, down hill, steep climbing and gradual descending. Now you are entering a moderately sloping jack pine meadow. 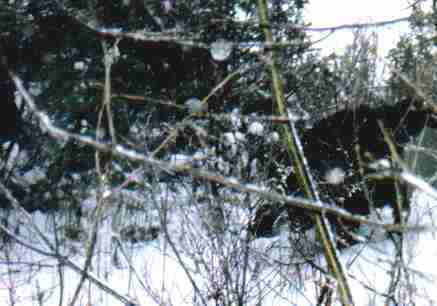 You'll have to walk all the way to the end of it over the hill to make sure the wild boar you are stalking are not hiding behind some far away black walnut tree that tries to take over from the pines. "No not here either! Where could the wild boar be lurking this time? I thought I heard them in this direction. What do we do now? ........."
Come over and find out for yourself. You will be very pleased you did!
" 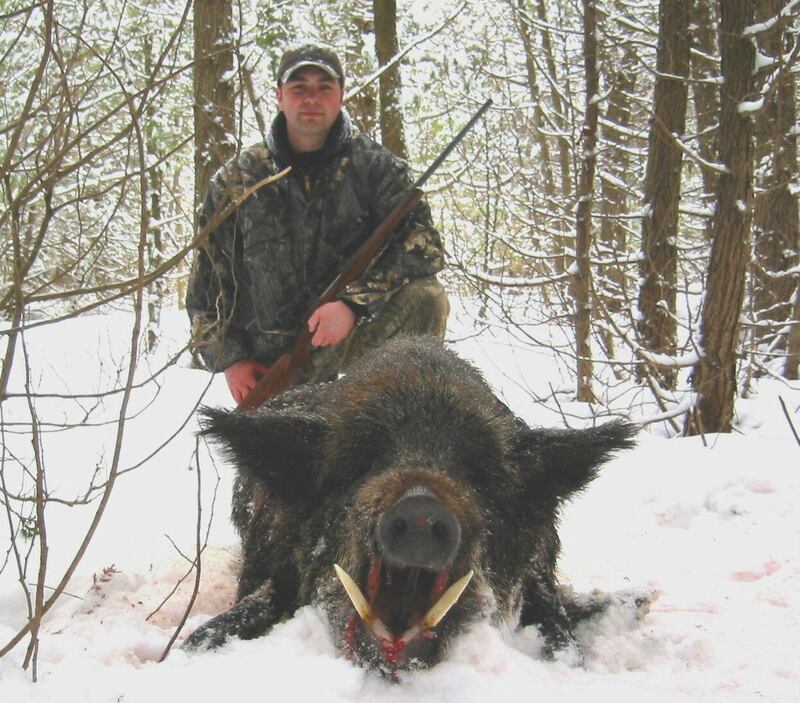 Book your hunt now while we still have these monster tuskers! " Visitors to date (since Jan 1. 2018).